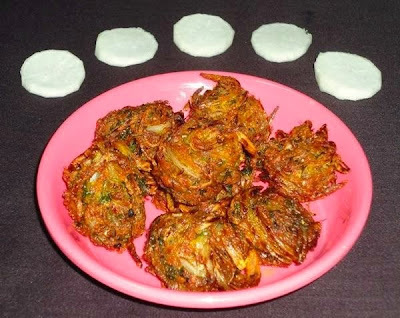 Shallow fried onion pakoda recipe - To make a healthy snack, I have prepared shallow fried onion pakoda instead of deep frying it. You can also deep fry these pakodas. The mixture for this pakoda is made by using onions, gram flour, coriander leaves and some other essential spices. 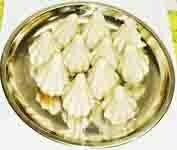 These pakodas are very common in every house hold. I have been eating onion pakodas since childhood and even now also I feel like to eat more and more whenever I prepare it. Hot pakodas goes well with a hot cup of tea or coffee. Dry roast the besan till aromatic and golden brown. Allow it to cool. Combine the onion, chilly powder, cumin seeds powder, coriander powder and ajwain. Heat half tbsp of oil in a frying pan. Add this onion mixture and saute till the onions turn translucent. Remove from the flame and allow it to cool. Once the onion mixture cools, add roasted besan and salt to it. mix well till they combine well. Then heat a griddle and apply oil on it. Take one small portion of onion-besan mixture and slightly flatten it with your palm. Place it on hot griddle in one layer. Pour some oil all over the pakodas and shallow fry them till golden brown from all sides. 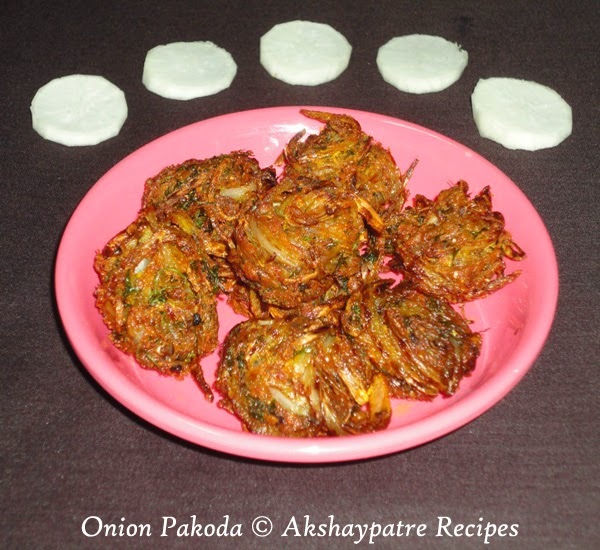 Serve the onion pakoda hot with a cup of tea or coffee. Guilt free n delicious snack! Looks crispy taste gonna be delicious too.